STARKVILLE, Miss. (AP) — Freshman forward Naz Reid tied a career high with 29 points, including a 3-pointer with 15 seconds left, to lift No. 21 LSU over Mississippi State 92-88 in overtime Wednesday night. The Tigers pulled ahead for good in overtime when Reid made a layup while being fouled. He added the free throw to give LSU an 89-87 lead with 59.5 seconds left. Reid’s biggest bucket came a little later when his 3 bounced high off the rim and straight through the net. 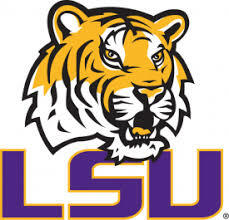 LSU (18-4, 8-1 Southeastern Conference) trailed the entire second half until Tremont Waters made a high-arching layup with less than three minutes left for an 80-78 advantage. The Tigers and Bulldogs both missed shots during the final seconds of regulation, forcing overtime. Waters had 26 points and five assists. Kavell Bigby-Williams added 14 points and 13 rebounds. Mississippi State scored 17 unanswered points midway through the first half to turn a 16-8 deficit into a 25-16 advantage. LSU struggled with turnovers during that span, especially after Waters went to the bench with two fouls. The Tigers recovered and briefly pulled even before Mississippi State hit back-to-back 3s in the final minute before halftime to take a 42-34 lead. LSU: It’s a huge bounce-back win for the Tigers, who lost for the first time in SEC play against Arkansas on Saturday. Reid and Waters were tremendous, producing big plays during the final minutes when LSU needed it most. Mississippi State: It’s a brutal loss for the Bulldogs, who were just starting to gain some momentum. It doesn’t get any easier when Kentucky comes to town Saturday.